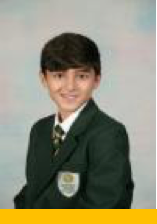 Hadeed 7 Maple – Hadeed has made an excellent start to his BMS journey since September. He has excellent attendance, top ALT scores in all his subjects in his most recent assessment and lots of reward points. Hadeed is a polite, well-mannered and kind boy who is works consistently in all his lessons. Keep up the great work to achieve your potential. Luka 11 Ash – Luke is a conscientious, hard working and talented student. 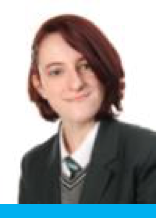 Luka has been working very hard in preparation for her GCSEs this summer, making the most of revision sessions and also during her Going for Greatness sessions, where not only does Luka work on her own revision but is also helping fellow students. Well done Luka and all the best for your GCSEs this year! Ellie is a very hardworking student is currently preparing for her PPE’s. Ellie is teaching Dance to the lower years and a year 7 student was praising her and saying that she is her ‘favourite’ teacher and she is really enjoying Dance. Well done Ellie for inspiring the younger students.